Welcome Home Series handlesets are the perfect addition to your front door to create a unique and fashionable entryway to your home. Each is stylishly designed to provide maximum-security protection. There are many styles, finishes and configurations from which to choose. Exquisite design combined with a distinctive profile, the Troy knob executes strength and beauty This passage knob/lever is best used in interior hall and closet applications where no locking is required. The knob/lever is reversible and mounts on both left and right handed doors. The crisp, clean appearance of the Satin Nickel finish adds to the overall look of the product and brings a modern feel. Troy Satin Nickel Passage Knob Welcome Home Series handlesets are the perfect addition to your front door to create a unique and fashionable entryway to your home. Each is stylishly designed to provide maximum-security protection. There are many styles, finishes and configurations from which to choose. Exquisite design combined with a distinctive profile, the Troy knob executes strength and beauty This passage knob/lever is best used in interior hall and closet applications where no locking is required. The knob/lever is reversible and mounts on both left and right handed doors. The crisp, clean appearance of the Satin Nickel finish adds to the overall look of the product and brings a modern feel. 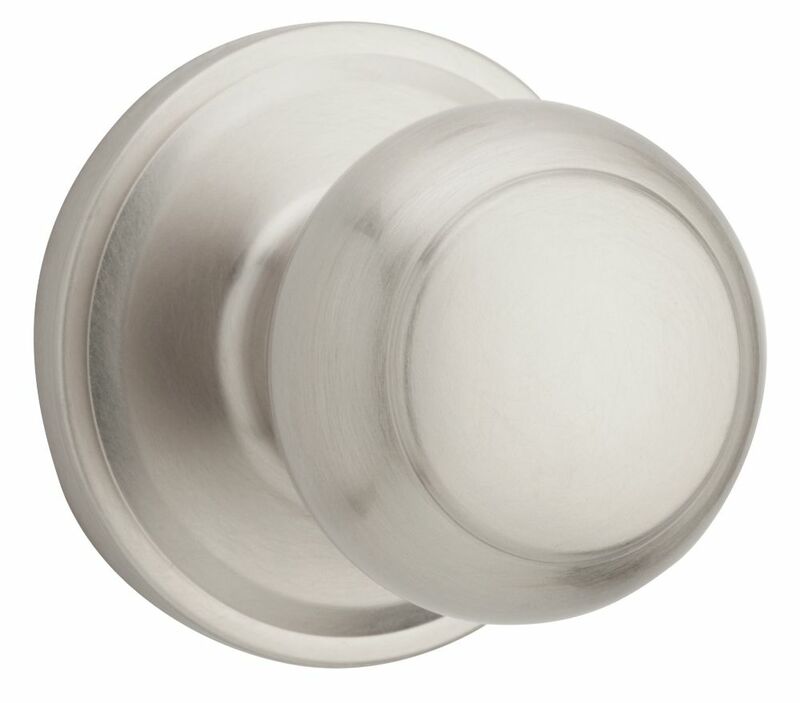 Troy Satin Nickel Passage Knob is rated 4.0 out of 5 by 1. Rated 4 out of 5 by Kjeffries from Knob description not clear I love the look of this knob but it was hard, based on the description to determine the mechanics of the knob (dummy knob meant for push and pull doors and doors that do not require a latch.